At GL Pianos we have been refinishing client's pianos for well over a decade. 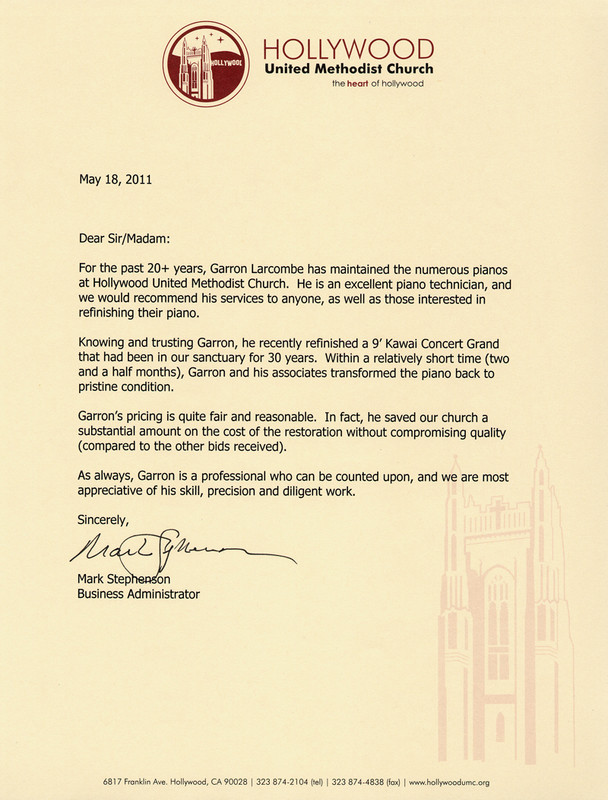 Whether you have an upright or a Steinway concert grand, our remarkable and proven results come from our very high standards, skillful applications, and many years of experience. The look and value of your piano will be greatly enhanced after we meticulously strip, sand and expertly refinish the delicate wood veneer bringing it back to pristine condition. Specializing in hand-rubbed Walnut, Mahogany and Ebony; we can match any pianos original wood shade or change it to another color. Finishes include satin, semi-gloss or high gloss (lacquer or polyester). In addition, we offer creative custom colors including reds, pinks, blues and whites, etc. Personalized plaques and decals can also be ordered upon request. We also provide professional carpentry services if your piano needs any replacement parts such as a music rack, piano lid, decorative moldings or has defects/cracks in the veneer and casework. All parts are custom made to original specifications and designs. Our beautiful finishes are competitively priced and unsurpassed in quality! 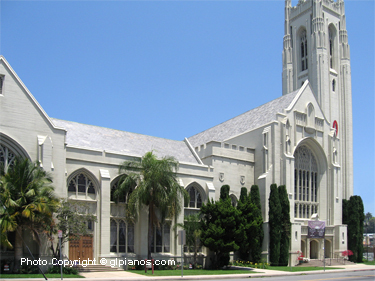 Hollywood United Methodist Church; a Los Angeles historical landmark has been one of my clients for over 20 years. 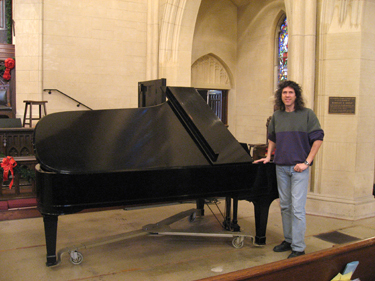 In January 2011, they commissioned me to refinish and recondition their 9ft Kawai Concert Grand Piano.